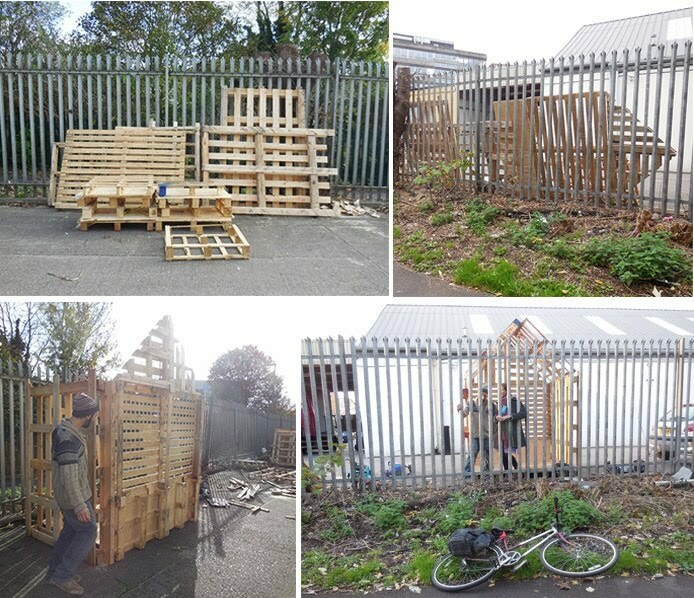 I cycled past this pile of pallets for three months before deciding to build a gallery out of them. 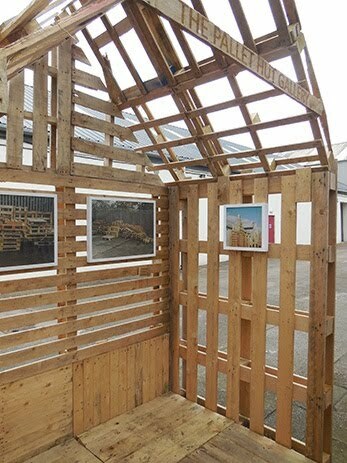 First to be exhibited were a series of photographs I took of the pallets themselves. 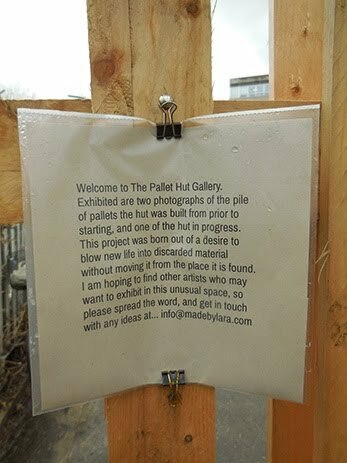 Then in February, Maya Horton filled the space. 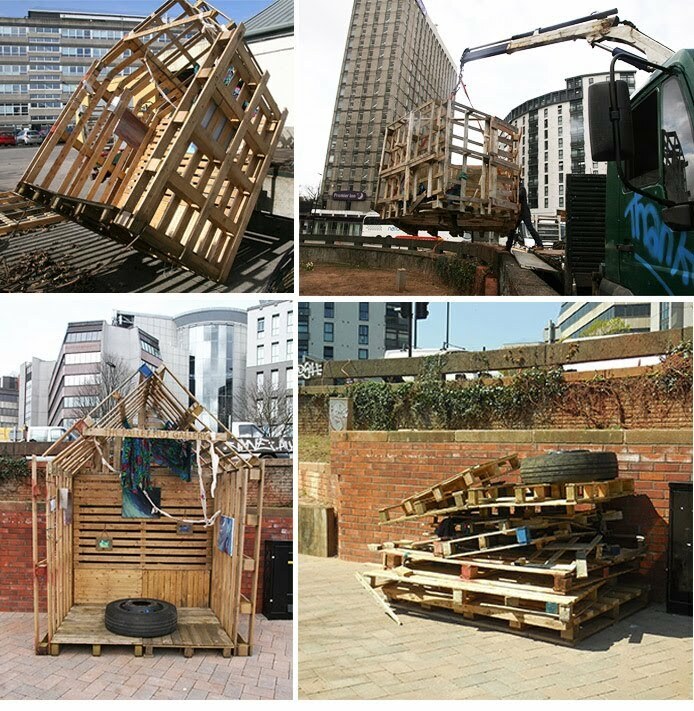 The gallery was then moved to the Bear Pit, where it lasted two weeks before being turned back into a pile of pallets.